​One Heart Touch® is an energetic system of Healing and evolution for body and consciousness. It addresses Healing and evolution at the Human level (current incarnation) and/or the Spirit and/or Soul levels (current lifetime and/or other incarnations or “past lives”) with and through the akashic records. The OHT system addresses various levels of Healing and evolution through the use of the 9, 26, and 89 chakra energy systems. OHT utilizes the energy of the Universe/Creator through various techniques and more than 50 symbols to direct the energies for specific purposes. Healing and evolution facilitation sessions can be done in person or by distance depending on what type of session is desired. Environmental Healing, Negative Entity Releasement (Discarnate Spirit Releasement and/or “ET” Releasement), and other techniques are also part of the OHT system. OHT is deeply Spiritual, but reflects no affiliation with organized religions. One Heart Touch®has been given by the Great Mother (Universe/Creator), the Archangelic Council (the Archangels Michael, Raphael, Uriel, Gabriel, Metatron, Agahaphael, and the Archangels of Love, Truth, Vision, Abundance, Cosmic Affairs, and Physical Principalities), and Mother Earth through OHT Founder and Grand Master, Mia Mona Muriel Amore, over a period spanning more than twenty-five years. In the words of the Archangels, “One Heart Touch® is the only system of energetic interaction in your world which offers Healing and stimulates evolution at these levels”. Humanity has evolved in body and consciousness. It is time for our Healing and evolutionary practices and information to reflect these changes, particularly as we Transition into the Age and Dimension of Peace. One Heart Touch® is a serious tool for those who are serious about Healing and evolution of both body and consciousness. Each One Heart Touch® Healing facilitation session provides the atmosphere for opening and balancing the chakra system, addresses energetic Healing on all levels of the energetic being, and stimulates evolution of consciousness. For more information on One Heart Touch®, please read the articles "What is One Heart Touch®?" and "The Origins of One Heart Touch®". 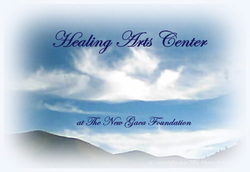 ​All One Heart Touch® Healing Sessions serve to Balance the respective chakra system addressed in the session. We use OHT energies and symbols to open and stabilize blocked or improperly functioning chakras. As we work with each chakra, we help our client Release fears and blocks, resolve issues that may be held, and open the Flow of energies into and out of the energy field. We close each session by integrating the changes brought about through the session into the auric (energy) field and re-Balancing it. It is important to note that we strongly recommend including Negative Entity Releasement for Discarnate Spirits (Routine) with every OHT session. In our experiences with OHT sessions, we have only had one client who did not have this type of Release work necessary. It is much more effective in the Healing and evolutionary processes to remove negative influences and attachments as they arise in the scope of Healing and Releasing issues, blocks, fears, etc. These entities are a part of the client’s journey and without Releasement, will likely cause the client to return to the old thought and energy processing patterns. We strongly recommend these Releasements. There are several One Heart Touch® sessions available. In addition to the above mentioned Healing facilitation sessions, we also have quite a number of Special Procedures that we use in One Heart Touch®. These include consultations, distance sessions, animal communications, Clearings and Negative Entity Releasements, Soul Spiral Healing®, Energetic Environments®, and several other advanced applications of the OHT energies and symbols. Please review the descriptions listed for all the OHT Special Procedures, and, as always, don't hesitate to ask us if you have questions about them. You can find the descriptions of these procedures in the drop down menu or the site maps.